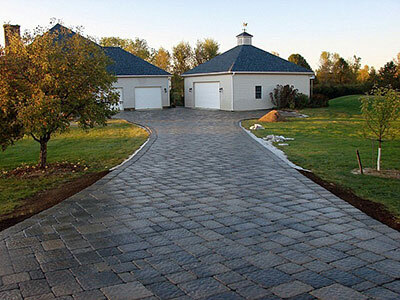 Driveway is definitely a part of the overall design of either your home or business establishment. In fact, they do offer the first line of attraction in creating that sophisticated, professional (if you're talking about commercial driveways) and the homey appeal of your homes. Sure there are asphalt driveways, naturally long lasting as well but with driveway pavers, you can create the flexibility that you would want in terms of color, design and overall appearance. Driveway pavers, depending on the materials used and how it was installed, can last for several decades and even centuries. Materials that can be used for driveways include cobblestone concrete and brick. Others who find it difficult to afford special driveway pavers materials opt to use loose materials such as gravel or stone. Known as the most durable material for driveways, cobblestone driveway pavers can create that laid back look which can add to that extra curb appeal of your home or your business establishment. Its base is granite - thus the durability. Cobblestone driveway pavers are almost always built to last long and are the most expensive materials compared to concrete and brick. Others who cannot afford the cost of all-cobblestone driveway pavers opt to use cobblestones as borders or just perhaps part of an inlay design. Concrete is also a good choice for paved driveways because of its durability. It is often the favorite choice of most if not all homeowners and business owners as well. They might not last as long as natural stones but they could last you a decade or more. Depending on how the concrete driveway pavers are installed, they really are cost effective and are built to last. It also comes in a variety of shapes and sizes as well as design and patterns. Brick, experts say, may be made durable and long lasting depending on the base and the regular maintenance owners make. A professionally installed one can prove to be worth your time and money as this would mean that your brick driveways are ensured of durability. Expertise - Getting neophytes or newbies would mean not only disaster but also the quality of the job might not be as you would expect it to be. Reliability - Much that there are numerous experts, some if not all are just mere hypes as far as reliability is concerned. Always remember that trust, dependability, and reliability are foremost considerations you should have in getting contractor for your driveways. Cost – Higher cost does not necessarily mean quality. There are contractors out there who can provide lower cost but with quality products and service. Location – Always choose a driveway contractor within your vicinity. It would be easy to hear about their quality of work through nearby friends or acquaintances. If they come from other states, expect that you’ll incur additional costs since they would definitely jack up their prices to recoup transportation costs. If you are in the state of Vermont living anywhere in the areas of Addison, Vergennes, Bristol, Middlebury, Brandon, Burlington, South Burlington, Essex Junction, Jericho, Montpelier, Northfield, Rutland, Barre, and Waterbury - you definitely are up on a big treat. Our company, Rainbow Acres Landscaping does not only offer landscaping design and conceptualization but construction of driveways as well. Call us for a free estimate.